Best Jobs in Canada for Newcomers. Whether you have recently immigrated to Canada or are planning to move to the country in the near future, one of your greatest concerns will be finding suitable employment to support yourself and your family. Of course you may be coming to Canada having already secured a position in your chosen field, or perhaps you already have extensive skills, experience and qualifications in a specialist field in which case finding an appropriate role should not be too difficult. If this is not the case however, you will have to face the open Canadian job market, competing with other immigrants and natural-born Canadians for the positions available. In this case, it makes sense to know the sectors in which you are most likely to be successful. Some jobs are easier than others for immigrants to obtain, so here are some of the best jobs in Canada for newcomers. The hospitality, travel and tourism industries are on the rise in Canada, especially in some of the biggest, most popular cities. If you are arriving somewhere like Toronto or Vancouver, you are likely to be able to find work in one of the large hotels catering to the demanding tourist trade. There is always a high demand for staff in this type of employment, so even if you have no experience in the industry, you may well be able to secure a lower scale role such as housekeeping or portering which will get you onto the Canadian employment ladder. If you have specific experience, for example in reception work, administration or catering, you are likely to be successful in obtaining a better paid job within this sector. There are generally plenty of vacancies in the catering field, especially for those who are from some specific cultures. Immigrants with certain cultural backgrounds will be able to find employment in restaurants and take out establishments specializing in their home cuisine. 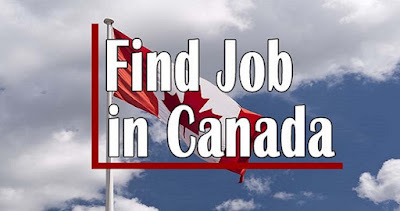 There are also plenty of lower scale food industry jobs which can get boost your Canadian job prospects, for example in counter service at chain fast food restaurants, in portering and in kitchen duties. There are generally plenty of job vacancies in the retail industry throughout Canada. From supermarkets to stores in malls, this is a sector with a relatively high turnover and as long as you speak a good standard of English and are of presentable appearance, you should be able to find work in this field. While the work may not be especially high paid, it is a good way to support you while looking for a better paid role. It may sound like a cliche, but it is a fact that many newcomers to Canada enter the taxi driver profession on their arrival. Of all the first jobs to take, taxi driving is actually one of the more lucrative as there is a potential to work longer hours and earn bigger tips. This is another good choice of first job for those who are still developing their understanding of the English language. While cleaning may not sound like a particularly lucrative career option, it is a field in which it is relatively easy to obtain work. This is also a good first job for anyone who’s English is still at a developing stage as it requires very little interaction with other people. Once you have some Canadian work experience, it is much easier to obtain a better job, so domestic work is a good place to start.